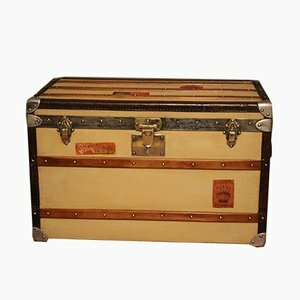 Renowned for their vintage travel trunks and their skilled leather craft design, Moynat is a French luxury fashion house founded in Paris in 1849. 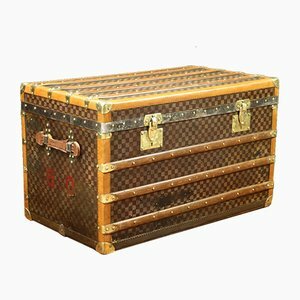 After a relaunch in 2011 by Bernard Arnault—chairman of French multinational luxury goods conglomerate Moët Hennessy Louis Vuitton SE (LVMH)—the brand opened a flagship store at 348 rue Saint-Honoré. 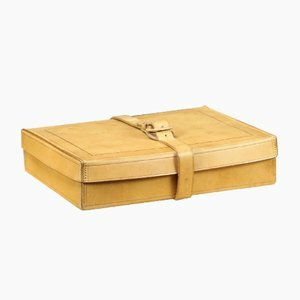 Moynat now specializes in quality leather handbags and has opened a handful select boutiques around the world, including Paris, London, New York, and Tokyo. 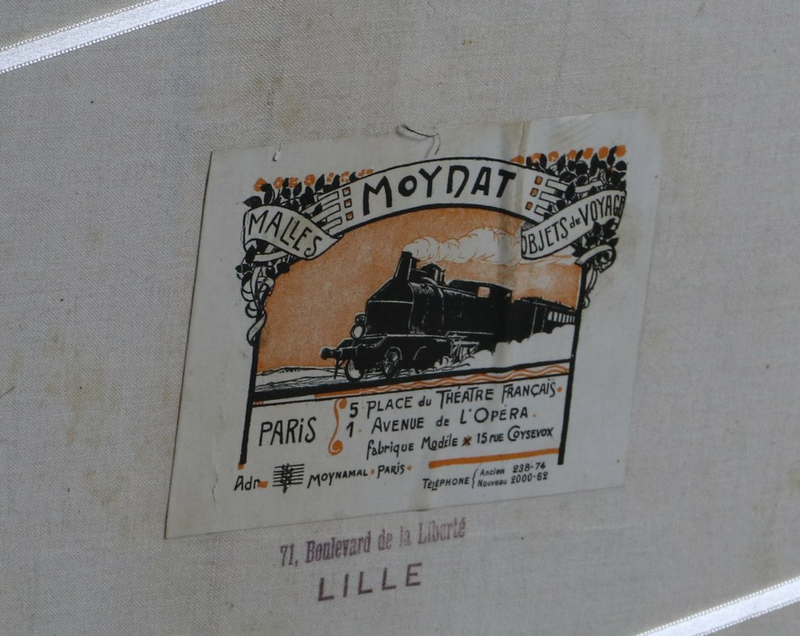 Moynat began their story in the great rail-travel era of the 19th century, when the first atelier was opened in Paris by trunk makers Octavie and François Coulembie. 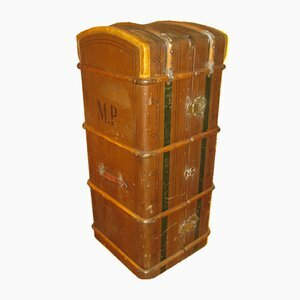 They teamed up with travel goods specialist Pauline Moynat in 1869 and opened a boutique which would later become the first ever store at avenue de l’Opera in Paris. 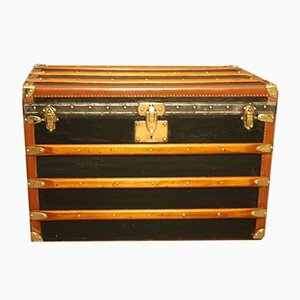 Moynat’s workshop was one of the first of its kind for leather work and developed many technical innovations; for instance, a patent for gutta-percha waterproofing in 1854, which used the sap of the gutta-percha tree. 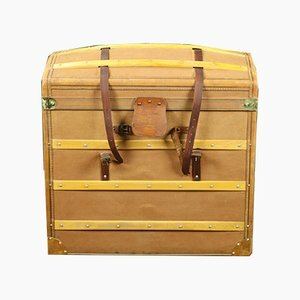 The company became widely lauded for its sturdy and waterproof trunks lined with silk or velvet intended for use in all modes of transport (steamship, railway, and eventually automobile travel). 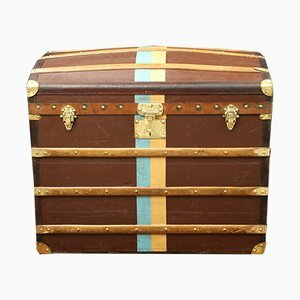 Moynat had a long standing collaboration with creative director Henri Rapin. 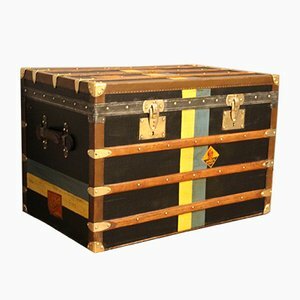 He joined the company in 1905 and was responsible for a number of famous designs like the signature M patterned canvas in 1920. 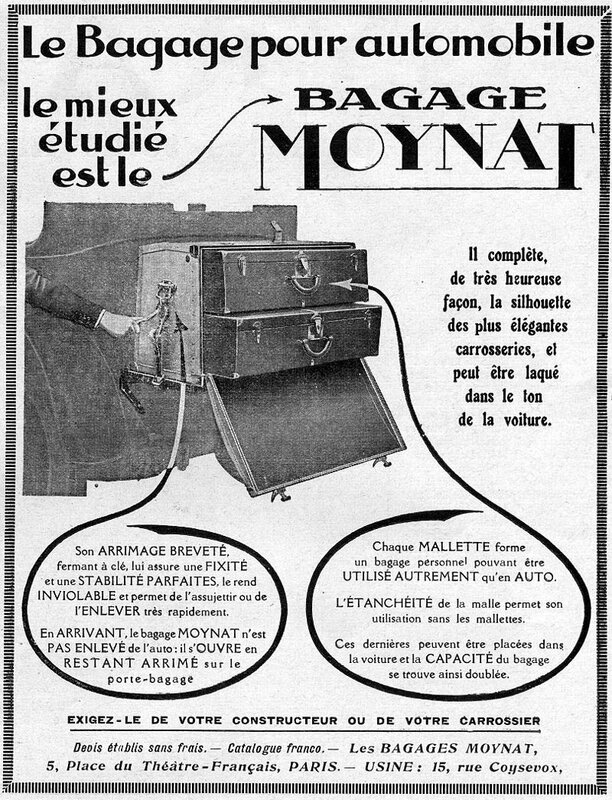 From 1867 onwards Moynat participated in many world fairs, most notably finding success in Paris’s 1900 Exposition Universelle and 1925 Exposition Internationale des Arts Décoratifs et Industriels. 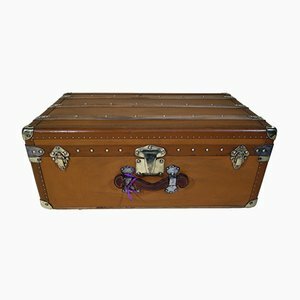 After more than 100 years, surviving three generations in the Coulembie family, the Moynat boutique at Avenue de l’Opera closed in 1976. 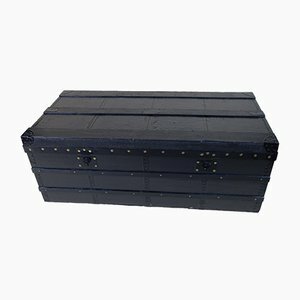 The rights were sold and changed hands between a number of companies, leaving the business dormant for a number of years. 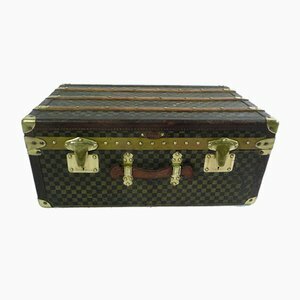 In 2010, however, LVMH’s Groupe Arnault acquired the rights to Moynat, bringing the brand into a large and prestigious family, including Louis Vuitton, Dior, Marc Jacobs, and Givenchy. 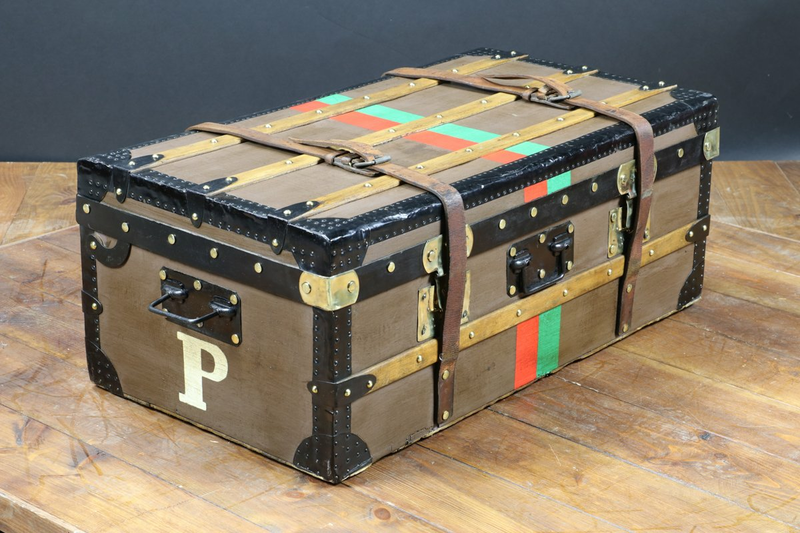 Moynat today is an understated label which focuses on letting the quality of the product speak for itself. 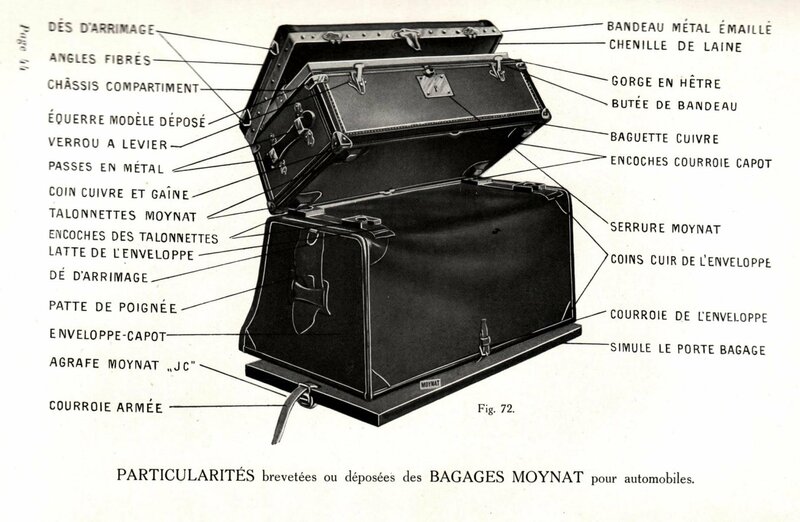 Design icons like Karl Lagerfeld are often found sporting Moynat’s Limousine bag.